This article is about the mode. For the location by the same name, see Octo Valley. Octo Valley (also known as Hero Mode) is a singleplayer game mode in Splatoon. It involves the player donning the Hero Suit and venturing into a hidden, underground valley where the Octarians dwell, to rescue Inkopolis' stolen Great Zapfish and defeat the Octarian menace. Cap'n Cuttlefish and an Octarian. After the Great Zapfish, Inkopolis' primary power supply, is stolen, Cap'n Cuttlefish employs a Splatoon of Inklings to travel to the Octarians' secret underground base and retrieve it. Players assume the role of Agent 3 of the New Squidbeak Splatoon and traverse the treacherous landscape of Octo Valley in order to reclaim various lost Zapfish, Sunken Scrolls, and Power Eggs. Octo Valley incorporates various puzzle mechanics and 3D platforming elements. 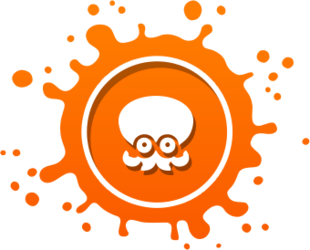 Gameplay has been compared to Turf War and Super Mario Galaxy, in the sense that it sees players splattering ink to defeat enemies, transforming into squids, and traversing floating platforms. The player's only available weapon in Octo Valley is the Hero Shot, a modified version of the Splattershot. There are many different mechanics that make an appearance in Octo Valley, such as Inkrails, Sponge Blocks, and Balloon Fish. These elements behave in various ways and are able to help or hinder players' progress. 5: Enter the Octobot King! In Octo Valley, players don the Hero Suit and are equipped with a variety of weapons. An Inkling in the Hero Suit. The Hero Suit is a special outfit worn by Agent 3 and other members of the New Squidbeak Splatoon. It appears to be largely gray with blue highlights and triangular-shaped earpieces. Many of the Hero Suit's specific functions are unknown. The Hero Shot is a modified version of the Splattershot, usable only in Octo Valley. It is able to be upgraded by spending Power Eggs. The Ink Tank holds Inklings' ink content. It is depleted by using weapons and can be replenished by swimming in Ink of Inklings' color. The Ink Tank is able to be upgraded by spending Power Eggs. Splat Bombs in Octo Valley behaves very similarly to the Splat Bombs found elsewhere in Inkopolis. They are pyramidal in shape with four transparent faces. Like the Hero Suit, they adopt a gray and light blue color scheme. When thrown, Splat Bombs explode after a short amount of time. This weapon is able to be upgraded by spending Power Eggs. Burst Bombs in Octo Valley behaves very similarly to the Burst Bombs found elsewhere in Inkopolis. They are shaped like water balloons, and, like the Hero Suit, adopt a gray and light blue color scheme. When thrown, Burst Bombs explode immediately upon contact. This weapon is able to be upgraded by spending Power Eggs. Seekers in Octo Valley behave very similarly to the Seekers found elsewhere in Inkopolis. They appear to be small, mechanical devices that travel on the ground toward nearby enemies, leaving trails of Ink in their wake. Upon reaching an enemy or after traveling for a short period of time, they explode into a burst of Ink. Seekers are able to be upgraded by spending Power Eggs. Armor can be found throughout Octo Valley. When wearing it, Inklings appear to be wearing a helmet and safety pads, and are able to take extra damage without getting hurt. Special Weapons can be found throughout Octo Valley in the form of Canned Special. Upon collecting a Canned Special, a certain weapon is immediately charged up. Many types of collectibles can be found in Octo Valley. Power Eggs appear to be small, orange fish eggs that can be found throughout Octo Valley. They can be collected by killing enemies, destroying crates, and shooting or running near individual ones scattered around the environment. They are used for upgrading equipment. Sunken Scrolls are rolled up pieces of paper that can be found in Octo Valley. They are long-lost drawings and other pieces of information that depict the history and lore of Inkopolis. One Sunken Scroll can be found in each level of Octo Valley. The scrolls earned from boss battles grant the player new weapons for use in online play. The player is awarded a full Replica of the Hero Suit and a set of Octoling Gear, when defeating the final boss. Also, the Sunken Scrolls found in each boss stage will unlock further weapons in Ammo Knights that are available for purchase once the appropriate level requirement is met. Boss battles feature a quiet but startling mechanical ambiance, accompanied with screeches and moans that sound similar to Zapfish cries. This usually cannot be heard due to music and sound effects during gameplay, but is easy to listen to before and after battles. The source of these eerie noises is unknown. When asked about the noises, Splatoon director Tsubasa Sakaguchi responded, “It's the first time I've heard this! I was the one who was in charge of the mechanics and the effects for the final boss. Towards the end, though, I was running out of time so I was asking the staff around me to do things for me - like the staff credits and many other things. Maybe it's a curse from those other staff. The final boss was one of the last things that we were working on. We were all high on adrenaline. Maybe there's some element of that in there, of that energy in there. Once I go back to Japan, I'll play it and have a look." When Cap'n Cuttlefish is kidnapped, replaying previous missions will also have his dialogue missing. This page has been accessed 112,690 times.